I saw this posted on another blog. 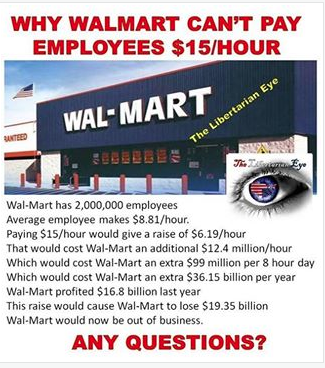 It might help those who are supporting raising the minimum wage to $15/hour understand that it is impossible for most businesses to survive if that happens. Those who wanted more will be getting less--they will have no job & nowhere to find a job because noone can afford to hire them.